From an early age, Toyin Lawal knew she was going to become a nurse. She imagined herself in a white uniform traveling around the world. Although she had this bright vision in mind, she could not imagine how rigorous the training would be once she started her education. 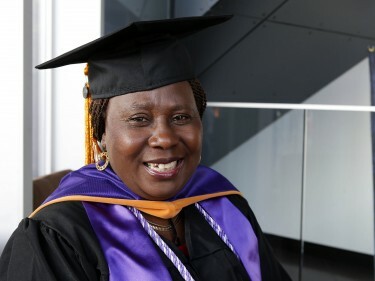 Lawal, 55, had taken several courses in her native Nigeria and the United Kingdom, had received her RN license in 1981 and had worked for more than a decade as a nurse in Kenya and Saudi Arabia, but she still had no luck transferring her credits to any college in the United States. Eventually, she discovered Grand Canyon University at a conference in California for Nigerian Nurses in North America. She was quickly drawn to GCU’s online program and without hesitation pulled out the transcripts she had been carrying in her purse. That same night, the GCU representative faxed her transcripts, and one week later Lawal was looking at the number of units she needed to complete her degree. “It was awesome — super!” she said. Monday morning in spring commencement for nontraditional students in the College of Nursing and Health Care Professions, Lawal received her degree: Master of Science in Nursing with an Emphasis in Leadership in Health Care Systems. She completed the program while working as assistant director of ambulatory services at UCLA Health in Los Angeles, monitoring patient care services and clinical practices of more than 200 clinics throughout Los Angeles County, Orange County and North Valley. She said she has felt blessed by her opportunity at GCU. This year, Lawal received the Succession Planning Scholarship Award for her outstanding leadership and the Nurse of the Year Award at UCLA Health. Lawal believes she is at a point in her professional career where she can thrive as a leader and progress as an educator within her field. “If I didn’t go to GCU I wouldn’t have that level of potential, capacity, knowledge and skill to be able to implement changes in our modern-day clinics,” she said. “People want to listen to me when I train them,” she said. Authority. Rule. Power. Service. According to Lawal, those are the characteristics of a leader. 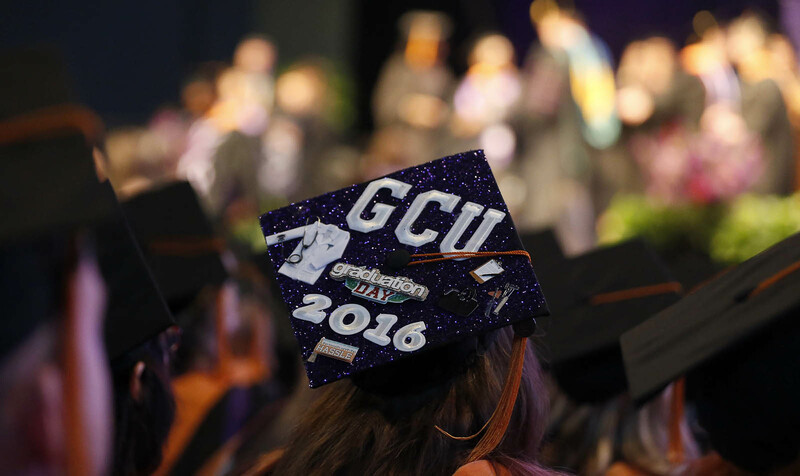 That is what the graduates who leave their mark at GCU are like — bold enough to fulfill their dreams, critical thinkers and well-trained to be servant leaders. And though they are challenged by paperwork, schoolwork and sleep deprivation, they have the energy to deliver a special level of compassion. That’s the trademark of GCU’s online nursing students: They’re always looking out for others. Here’s how some of them have shined throughout their careers, along with a few scenes from what was happening Monday. Ruth Anne Skinner, lead Acute Care Nurse Practitioner faculty in CONHCP, said she’s been amazed by what students are able to do. The ACNP program itself combines core courses that cover patient assessment skills, the study of how chemical agents affect biological systems and pathophysiology. It is designed for students with an active RN license, which means students manage working full-time and studying to get their nursing degree. It also includes 550 hands-on clinical hours and exams in person and in online discussions every week. In her classroom, Skinner engages students through discussion topics based on real-life scenarios and often will upload photos of a patient’s X-rays to provide a descriptive visual. Shawn O’Haver was in the coal industry at a job that paid really well when one day he got laid off. It was the catalyst that took him back to school to be a nurse practitioner in the emergency room. The Texas native is the director of surgical services at La Paz Regional Hospital in Parker, Ariz., and also just got promoted to captain in the Air Force. He said he’s found that he thrives when he’s got a full plate to handle. “I like things to be thrown at me at 100 mph,” he said. School was another way to propel him forward. 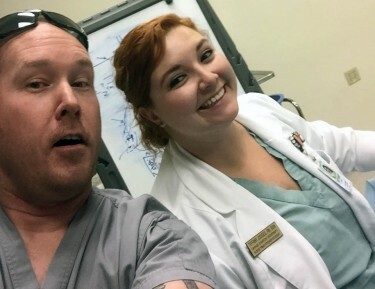 “I really want to make a difference to people within a system and nursing is one way to do such amazing things – a case manager, a doctor’s office, surgery, anything,” he said. For O’Haver, the best part about his experience at GCU was being able to apply a classroom discussion at his job when he was prescribing medication to a patient. But the patients can make a nurse feel “better than anything else in the world,” he added. Dave Melbourne, 41, conducts surgery for a hernia repair — it’s one week before graduation and is one of his typical days. Melbourne currently performs open heart surgeries. His role is to follow up with patients in the Intensive Care Unit. “It’s been a busy semester,” he said. Melbourne works for Banner Baywood Medical Center and Banner Desert Medical Centers as a supervisor. He moved to Arizona from Loma Linda, Calif., in 2014 to network with other physicians and eventually applied to GCU. Initially, he said being an online student was a challenge, but the online flexibility made balance a lot easier. Melbourne’s first career goal was to be a pilot, but an eating disorder in high school excluded him from military service. 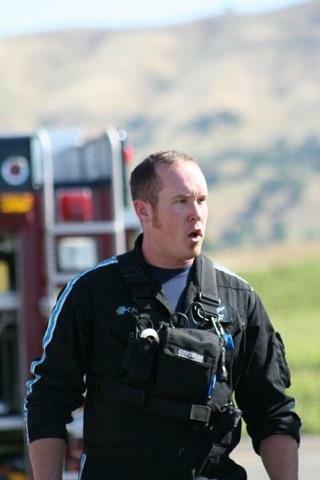 Instead, he became involved in emergency medical services as a technician and eventually as a paramedic. 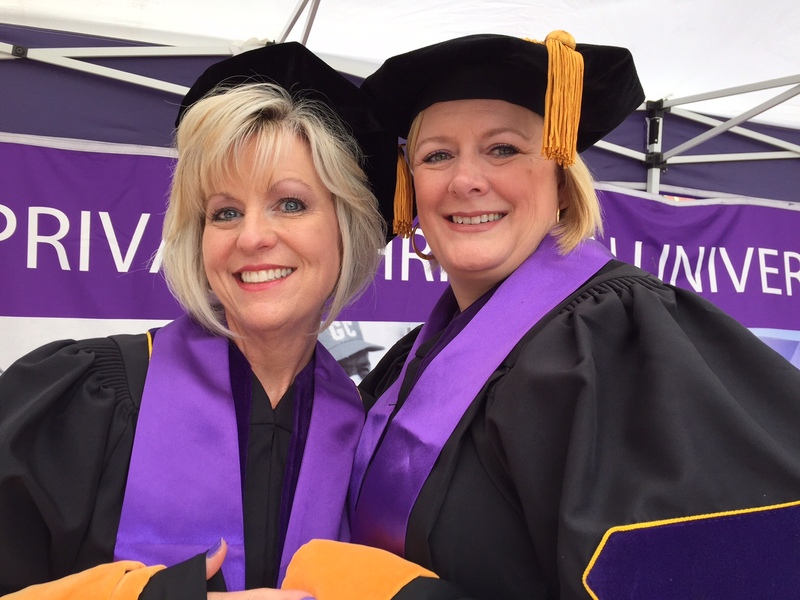 Melbourne (left) and Tiffany Judges are part of GCU’s online nursing graduating class of 2016. Tiffany Judges, 32, has been a nurse for 12 years and currently works at the Mayo Clinic in Phoenix. She is the only of 15 grandchildren who decided she would follow in their grandmother’s footsteps. However, with a family and a dog to care for, Tiffany said she knew an online degree would be her best route. After all, she couldn’t afford spending more on doggy day care. 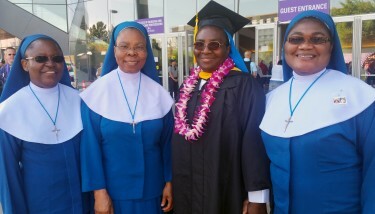 Maria Chiotu was able to finish her degree while still doing missionary work and working as a nurse. Maria Chiotu has been a registered nurse for more than 30 years. While she completed he degree at GCU she also continued to serve as a missionary through a society of nuns formed in Africa and based in Washington D.C. It was one hour before the ceremony and Chiotu was giggling with three of her sisters. How could they not? They had spent the weekend touring the city and had even visited the zoo and the Desert Botanical Garden. You couldn’t miss them in their long, royal blue veils and white habits as they posed for pictures. With her degree, Chiotu said she hopes to obtain an administrative position in health care and then eventually retire to Africa. Robin Schaefer and Amber Porter just met two days ago, but they bonded quickly. After all, they are the same age, 47, around the same height and on Monday sported short, stylish blonde hair under velvet doctorate beanies. But the common interest that binds them most is their area of study: Both graduated at the same time on the same day from GCU with doctorate in nursing practice degrees. 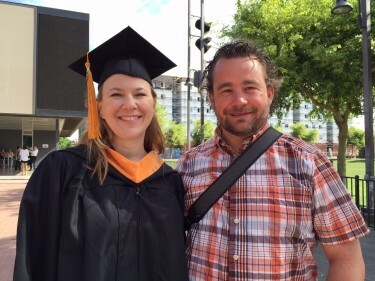 “This is my third GCU degree,” said Porter, of Phoenix, who works at Banner- University Medical Center Phoenix as a nurse practitioner. She previously earned a bachelor’s degree in nursing and a master’s of science in nursing-family nurse practitioner. 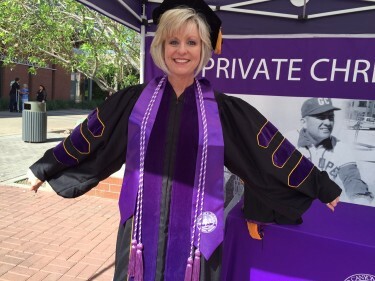 She proudly displayed the gold-trimmed purple patches on the sleeves and the velvet hood of her graduation garb. “In our first class, I said that our goal was we all had to be ‘on the road to velvet,’’’ Porter said. Schaefer is from North Carolina and practices nursing in the CarolinaEast Health System. Porter shows her velvet insignia. Both graduates spoke passionately about the benefit of continued learning but agreed that the road has come to an end now that they earned their doctorate degrees. Deane McFadden, 43, said that for her, nursing is simply a calling. “You have to truly care for people,” she said. On Monday, the Portland, Ore., resident became the proud recipient of a master’s of science in nursing from GCU. The degree is a requirement, she said, for the position she already holds, assistant nurse manager in a Tualatin, Ore., critical care unit. Onyeisi Stephen Ogbomeh, left, and Event Services Administrator Tira Montgomery. Onyeisi Stephen Ogbomeh is usually a reasonable man, and he seems to have a good sense of humor. 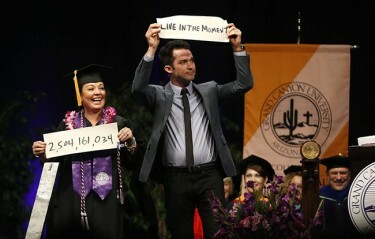 But he was fairly certain he was not going to wear a mortarboard during Monday morning’s commencement at GCU. 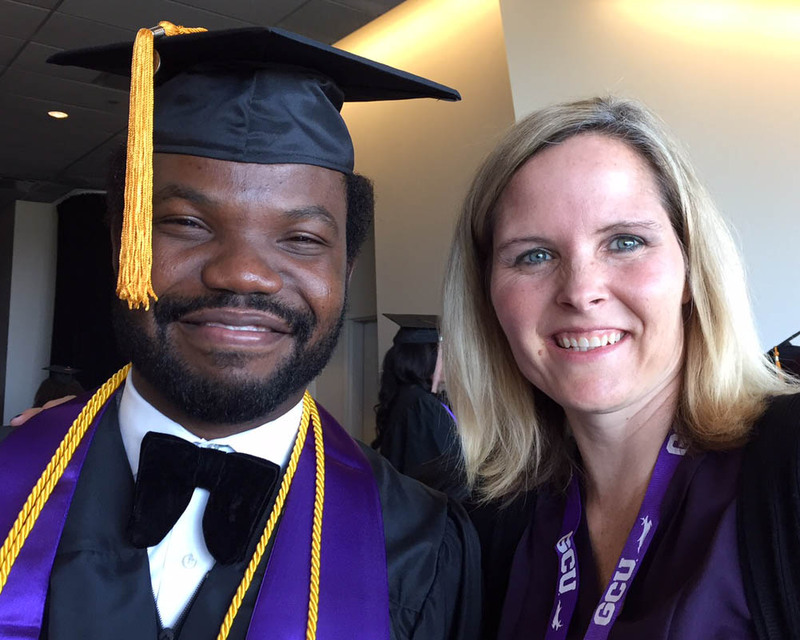 “I didn’t want it,” said Ogbomeh, a master of science in nursing graduate. “I had it styled just right,” he explained a few minutes later. But under the influence of Montgomery’s sweet nature, he weakened and decided to let her place it on his head. “I set it gently on his hair,” Montgomery said. And after he saw the result in the bathroom mirror, he asked Montgomery to put it on all the way. She put it on snugly and pulled it into place. The result lit up his face with a big grin. He’s also so happy with GCU. He is enrolling in the doctorate in nursing program next. GCU has truly been more than a blessing. I had NEVER thought I would return back to school after obtaining my ADN in 1988. Before each of my parents passed their one request was that I obtain my BSN. Of course having many excuses did not work at an AWHONN symposium. The next event was Jen Tegler calling me with so much encouragement. God placed Jen in my life who is such a blessing! !!! During my RN to BSN program she would call and check on me. This program being online was awesome! God placed on my heart to obtain my MSN in which I completed with honors from all over. I now wait to see what God’s plans are for me as I take a deep breath before applying to the DNP program at GCU! I have been blessed to inspire others to return to school which some are going through GCU! God is great and has plans for each person! For one who dreamed of being a nurse look at what God has done. My passion in women’s services working labor and delivery and being charge nurse. Thank you Lord!!! Thank you Jen Teglar, the staff at GCU, my family and friends!! !